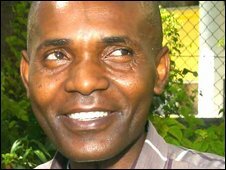 A Kenyan pirate negotiator has told of his surprise that he is set to be the subject of a Hollywood film, but reckons he may be too busy to see it. Andrew Mwangura heads the non-profit East African Seafarers' Assistance Programme, which works to free ships held by Somali sea raiders. 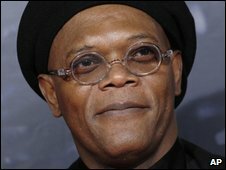 Oscar-nominated actor Samuel L Jackson reportedly plans to star as the 47-year-old maritime consultant. Somalia's pirate-plagued coast is the world's most perilous for shipping. Variety magazine, often described as Hollywood's industry bible, reported last week Mr Jackson's Uppity Films and Andras Hamori's H20 Motion Pictures had secured the life rights to Mr Mwangura's story. Last year, Mr Hamori flew to Mombasa, Kenya, near where Mr Mwangura is based, to thrash out the deal with the former marine engineer. How to pay a pirate's ransom? Mr Hamori told Variety last week: "[Andrew] has the trust of the pirates and the ship owners, and his loyalty is to the kidnapped crews that get caught in the middle of these episodes." Mr Mwangura, who receives no payment for his negotiating work, spoke to the BBC's Network Africa programme of his surprise at the Hollywood producer's visit. "I told him: 'Why me? And why you flying all the way from America to Europe just to see me and then for only one day, then fly back?'" he said. "They say it's because you're a hero, that's what they say. And I told them I'm not a hero... because what I'm doing, I'm doing for the benefit of mankind." Mr Mwangura indicated he would probably have little time to visit the cinema when the film about his adventures hits the big screen. "I have no time to enjoy life. I have no time for social activities," he said. "I have no time to listen to music, most of the time I use reading and writing and travelling." Samuel L Jackson is currently shooting Iron Man 2 and then will star with Michael Sheen in Unthinkable. Earlier this year, Mr Mwangura helped secured the release of a Ukrainian ship, MV Faina, which was carrying Russian-made tanks and weapons. A ransom of $3.2m (£2m) was paid after months of painstaking negotiations, although the pirates had initially demanded more than tenfold that amount. He was arrested at the time of the hijacking for suggesting the arms on board were bound for South Sudan, something the Kenyan government denied.